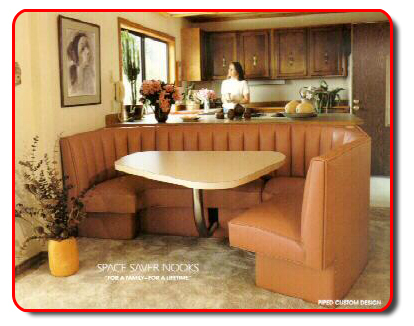 "FOR A FAMILY-FOR A LIFETIME"
Space Saver Nooks - is located near Portland, Oregon. Our nooks are custom made any size, shape, or color. Below you will find pictures of different styles. Click on a picture that interests you and it will take you to a page with more information on the style you are interested in.